The Winter Solstice women's ring features a 6mm princess cut center stone of your choosing, flanked by two 4mm princess cut gemstones. 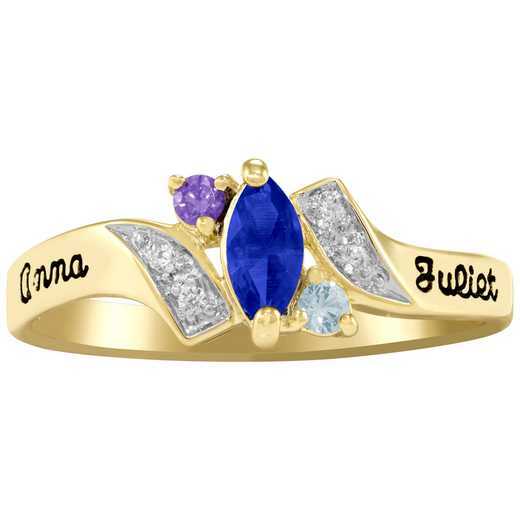 Eight 1mm round cubic zirconia or white topaz line the top and bottom of the ring. 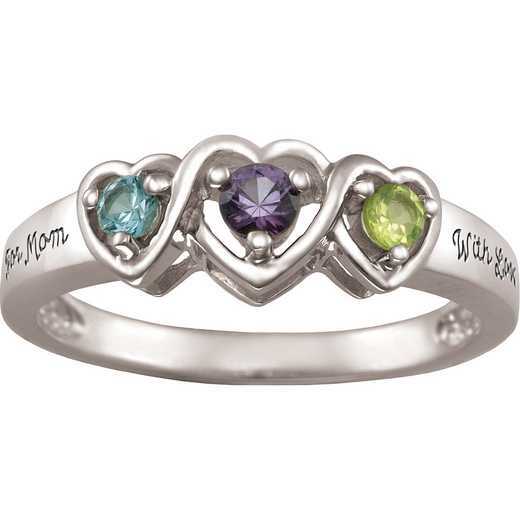 Available in sterling silver and 10k and 14k yellow and white gold metals, you can choose genuine or simulated gemstones from 12 birthstone colors. 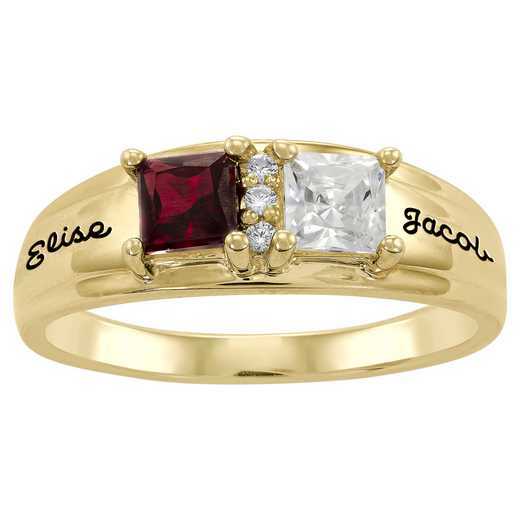 Personalize this beautiful ring even further with two areas of inscription along both sides of the band. Select the perfect fit, available in half sizes from 3 to 12.